GET THE ACCLAIMED SOPHOMORE ALBUM ‘STATE OF ALL THINGS’ ON VINYL, CD or STREAMING DIGITALLY. Sign up for our newsletter and we will send you tons of goodies for your mind, ears and soul. a fresh, new contemporary sheen. Time was released in 2012. The group has shared bills with megastars and indie press darlings alike, including The Temptations, Lee Fields & The Expressions, Iggy Pop, Erykah Badu, Goodie Mob, Gary Clark Jr., Animal Collective, Feist, Bush, The Wailers, Dumpstaphunk, Bombino, Peaches, The Internet and Kendrick Lamar. The most recent release "Broken Woman" is available for streaming online now. Read more of the bio here. The Bitter Southerner exclusively premieres Ruby Velle & The Soulphonics' second single, Call Out My Name, from their sophomore album, State Of All Things. Libro Musica reviews 'State of All Things' stating, "It is amazing how so much sound – meaningful sound – can fit into a single album. 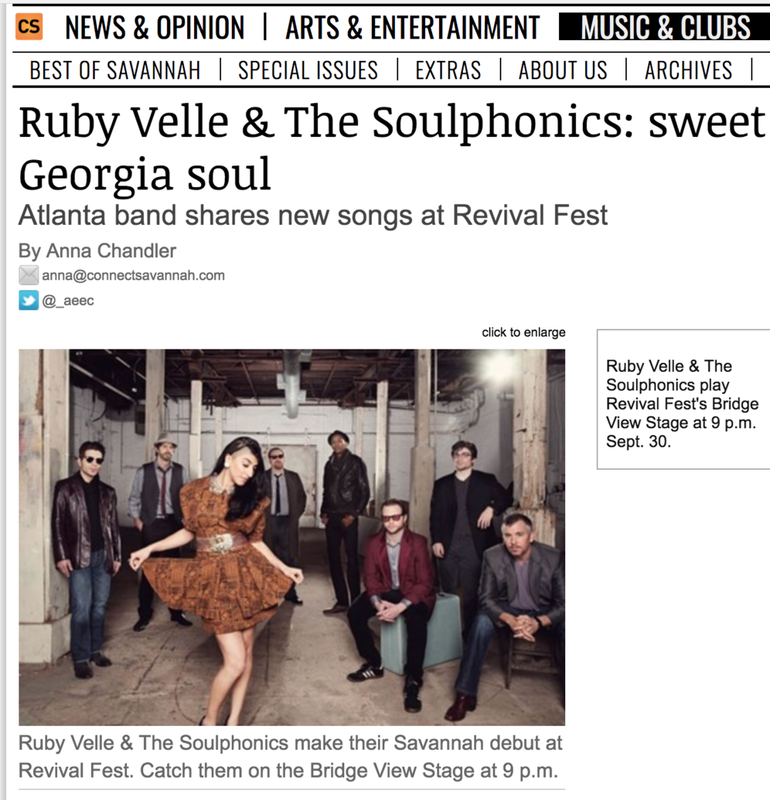 Atlanta is blessed to have Ruby Velle & The Soulphonics, and the rest of the world is fortunate to be able to hear the music that they put out. 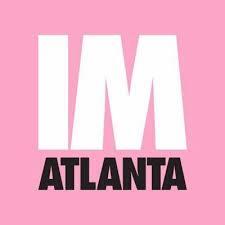 Check out the 'State of All Things' album review from Creative Loafing. They state, "Every one of the album’s tight, taut songs are enhanced by intricately arranged horns, keys, strings, and Velle’s tough/tender vocals." Libro Musica checks in with Ruby Velle after Stax 60th Anniversary Fundraiser Show. Check out the full article here. PBS Presents : Music Voyager host Tacuma Bradley explores Atlanta's music, nightlife, art and dining offerings in this fun travel series. Libro Musica sits down with Ruby Velle to talk love songs and break up songs. Libero Music states, "Ruby Velle delivers a profoundly meaningful message to the deep recesses of your soul." Check out the entire interview here. Read Immersive Atlanta's Review of newest RV&S Single "Broken Woman"
The Bitter Southerner: "Ain't Nothing If It Don't Feel Good,"